Enjoying Russian literature is one the Benefits Of Learning Russian Languages through shorts stories. If you wonder How To Learn Russian By Yourself Effectively And Efficiently Just watch some of Recommended Russian Languages Movies or read Russian famous books and enjoy the rides. If you jump right in, you can get discouraged and give up. It’s better to take small steps, building your skills and confidence with short stories with shorts texts. Here are some Russian Short Stories to get you started. Nikolai Gogol is king of short story in Russian literature. It was short, satirical pieces which were, nonetheless, pinpointing perfectly a particular human vice or a social problem. Gogol’s stories are short, crisp, fun to read and didn’t lose any of their relevance. Diary of a Madman,a farcical short story that considered to be one of Gogol’s greatest short stories. The tale tells a minor civil servant life during the repressive era. The Fair at Sorochyntsi, the story that so epic later in the 19th-century was adapted as an opera of the same name. The Nose is a satirical short story taking St. Petersburg as the setting. It tells the story of a St. Petersburg official with a nose that leaves his face and develops a life of its own. The Portrait, it is one of Gogol’s most demonic tales. St. John’s Eve, is the second tale short stories compilation of Evenings on a Farm Near Dikanka. The Queen of Spades, Pushkin own experience on gambling is the first undisputed masterpiece in the genre by the writer seen in his homeland as the “Russian Shakespeare”. The Belkin Tales, the first prosaic work during the most productive writing periods in his life. It consists of five short stories with simple tales written in different genres. Each is a complete and entertaining story with an underlying criticism of the society Pushkin lived in. The Blizzard or The Snow Storm is the second short stories that constitute The Tales of the Late Ivan Petrovich Belkin. The stories are comical and dramatic. Oh! the Public!, a humorous side of Chekhov that is light and fun. Misery, one of his moving Russian short stories compared to other works. Ward No. 6, a not so short works but quite entertaining. The Duel, the most famous thunderstorm works of Chekhov in literature. Signs and Symbols, one of the greatest short stories ever written and receives great reviews across time and nations. Spring in Fialta, the short story comes in poetic and richly metaphorical. Ultima Thule, among the last written short stories in Russian before he writes in English. It is Nabokov best metaphysics work ever. A Nursery Tale, one of his most whimsical and erotically stories. An Affair of Honor, tells the story of modern adultery common love stories with a twist. It is a short version of Romantic Books That Are Perfect For Woman To Read in brief. The Potato Elf displays a cinematic short story self-evident. A Dashing Fellow, Nabokov portray of philistinism as a “full-grown person whose interests are of a material and commonplace nature. Breaking the News, pain, solitude, misunderstanding, sadness, it the formula of this sad Russian short story. Cloud, Castle, Lake, another sad story of a sensitive émigré. A Russian Beauty, a vivid and bright piece by an author who chose to write a long story in a short distance. Chelkash, the literary journal focuses on a roaming tramp in the town of Odessa. It describes Gorky’s interest in the social pariahs of society. Twenty-Six Men and a Girl, a life of labor, won him the place to be equal to Leo Tolstoy and Anton Chekhov. Sketches and Stories established him as a primary revolutionary voice for the people. Tales from the Don, a collection of short narratives from the author’s hometown during the Russian Civil War and during the First World War. Quiet Flows the Don, a chronicle of the domestic and political lives of the Melekhov family by the Don River Valley in the early 1900s. Lazurevaya Step, among his first short stories. Albert, a homeless brilliant, violinist. A story of family and talent. Moreover, it has been described as reflection on moral questions of art, and society’s ability to recognize true art. Master And Man, a story of a landlord along one of his peasants, Nikita, for a short journey by sleigh. Tolstoy repeats one of his famous themes, the only true happiness in life is found by living for others. 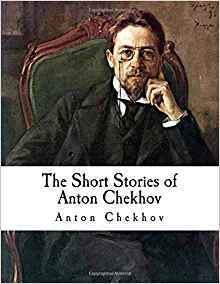 Many of the Russian short stories greatest writer have been better known for their longer works. Namely Pushkin, Vladimir Nabokov, and many more. Their works include Greatest Russian Novels Everyone and contrary to this line of thought, among literary forms the short story is unique for its versatility. Furthermore, it is a great reading and Effective Ways Learning Russian Languages Even If You Never Get Fluent, when the long, thick books are too much to handle.